Dubbed "your handbag's new best friend", Bagsy Beauty is all about creating cosmetics that are compact for on-the-go, but are still as high quality as products you put on your face first thing in the morning. 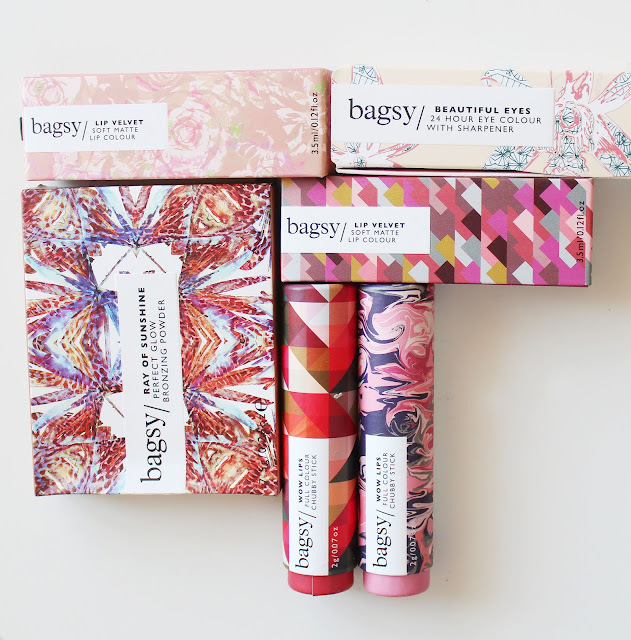 Bagsy has worked hard to create amazing designs for their products, which - for me at least - makes them stand out the most. I am totally in awe of how beautiful and adorable the packaging is, from the outer packaging adorned with floral patterns to powders literally embossed with quotes. I love the bronzer! Light/Medium is a milky shade, and is quite subtle; so it's perfect for touch ups rather than a single application. 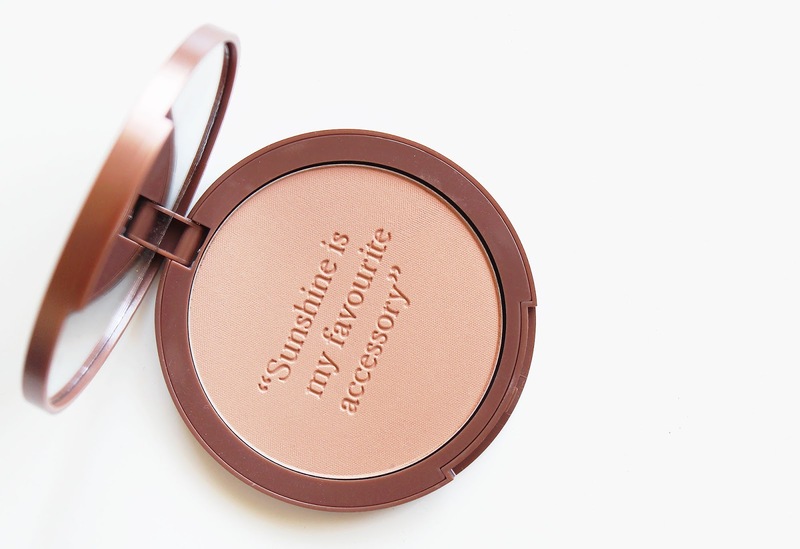 However, if you're a pale lady, you will love this for an every day bronzer. It's not massively warm toned so is very complimentary to pale skin, or skin tones with cool or neutral undertones. 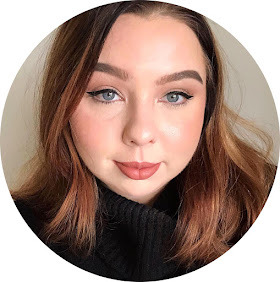 I love the formula of the the Wow Lips Chubby Sticks - they're intensely creamy and glide on the lips like a dream, with a beautiful satin finish. For such a light weight formula, they're surprising long wearing. My model, Georgie, wore the shade Killer Heels in this photo shoot and was drinking water between taking photographs, and the product looked untouched! Although I love the formula, I was really disappointed with the shade Happy Days. It's a pink, but it's got way too much blue undertone in it for me, I don't think it suits me at all. I also love the liquid lipsticks. They're so dinky! I love them for throwing in my hand bag. The formula is great too, it's thin, light weight and buildable. 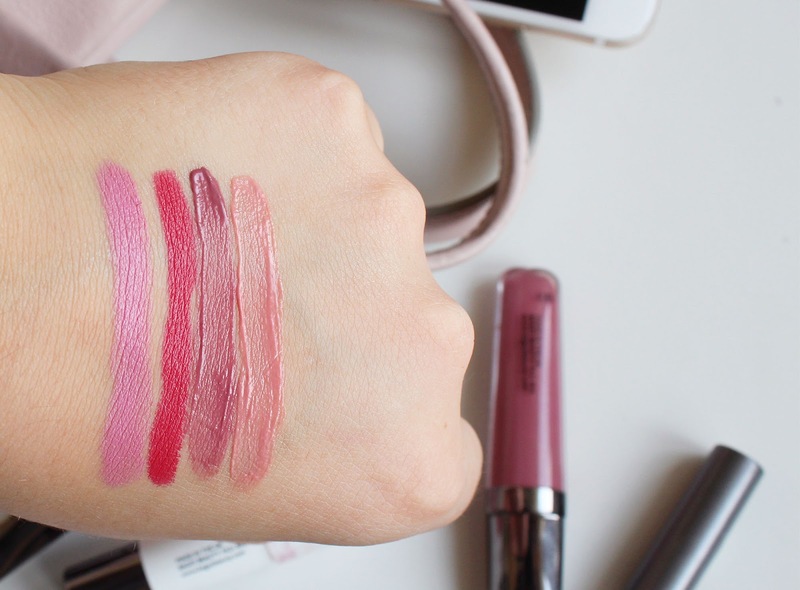 The swatches above really don't do it justice, on the lips they're opaque with one swipe! Because they're so light weight, they're incredibly comfortable if you apply them alone, but also don't bunch up if you're re-applying over the top of product. I love the Beautiful Eyes Eyeshadow stick! Although I did note that the formula is a little on the dry side, although not excessively, just for my personal preference. It still applies very easily. 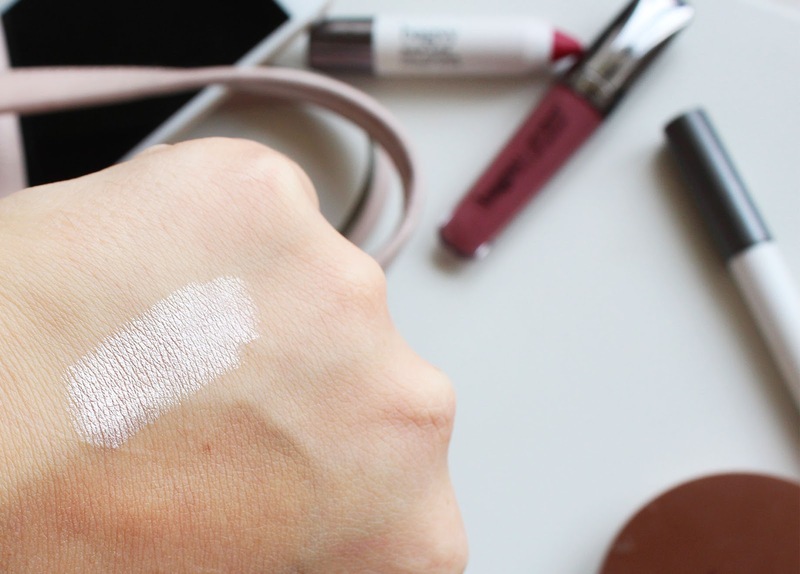 I love the shade Pearly Bird for inner corner highlighting, both for initial makeup application and touch ups throughout the day. I also use it to touch up other targeted highlighted areas, such as my cupids bow and under my brow. Finally, I've found a dry shampoo that is perfect! Bagsy's smells gorgeous, does the job and doesn't leave persistent residue. The icing on the cake? 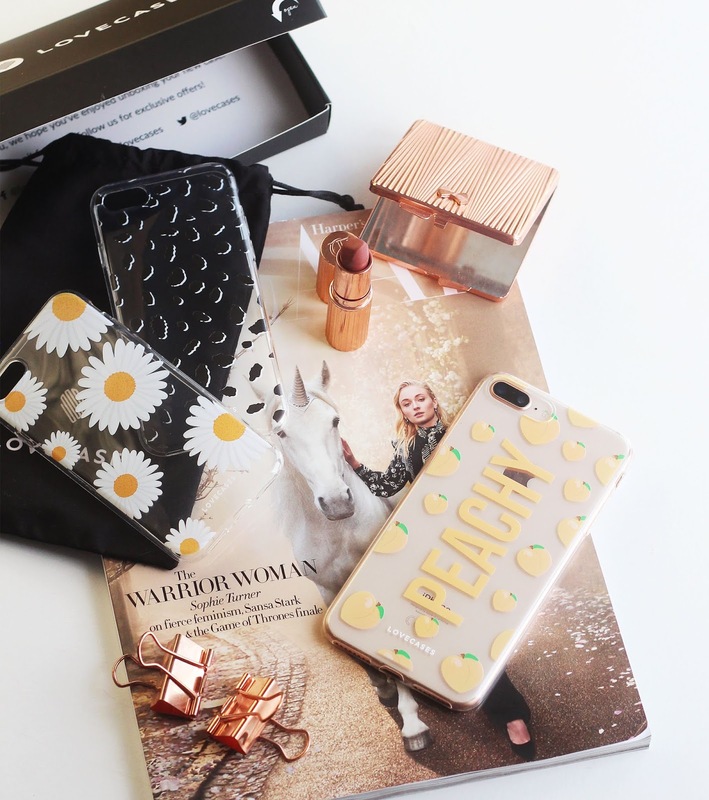 It's small enough to fit in your handbag for on the go. I highly recommend! 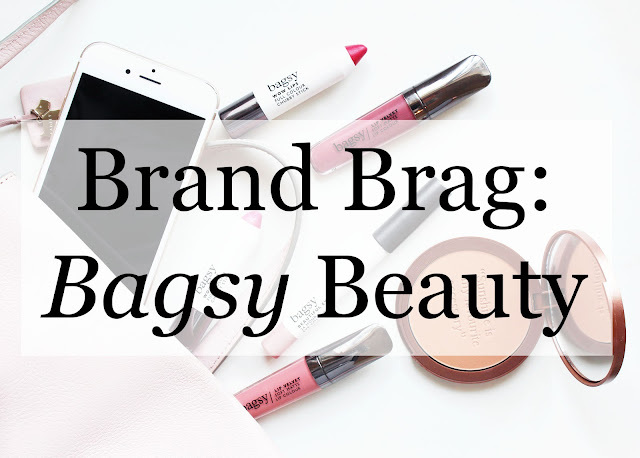 Bagsy definitely achieved their aim of creating light weight, compact and portable products. 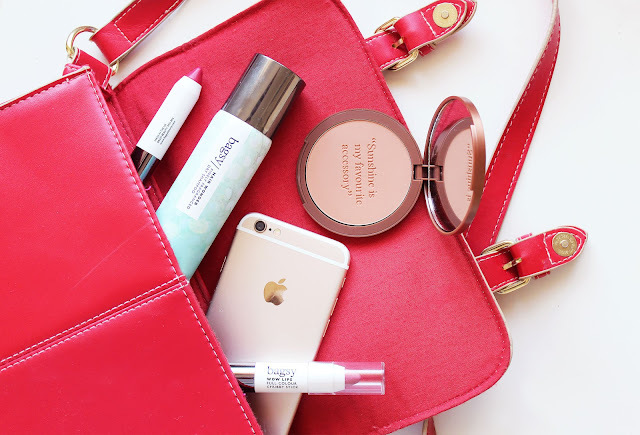 These are all 100% hand bag friendly, but are such high quality I also use them as part of my every day make up routine. So all in all, I love Bagsy Beauty! You can check out their website here. The packaging and details on these products are so cute! I think my favourite bit are the boxes they come in! What's new from Urban Decay?